Everywhere you look these days, more and more people are doing their part to help the environment. Whether it’s buying organic produce or driving electric cars, environmental responsibility is catching on in a big way. This is good news because even taking one small step in the direction of “going green” can have a major impact on the future. One of the best ways that you can make a positive change is to start your own recycling program. It doesn’t have to be complicated or expensive. In fact, you can get started today with no money and just a bit of effort required. Check out this article to find out how. 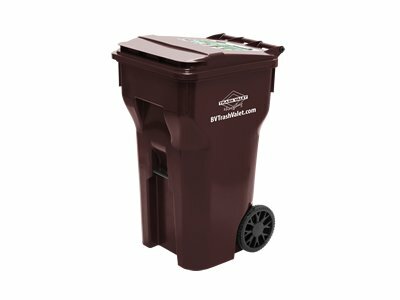 When you start recycling, you may see other people with color-coded recycling bins, a compost pile and rainwater collection tubs. Don’t let this discourage you. You don’t need fancy equipment or anything expensive when you’re just starting out. Remember, everyone has to start from somewhere. Recycling is a habit that you must practice daily. If it’s too complex or difficult, you are less likely to stick to the habit. The solution is to make recycling simple. To start, just focus on how you will recycle trash. If it is a recycling item, such as an aluminum can or a paper product, place it in a special area. This area can be as simple as an old shoebox or cardboard crate. Place recyclable items in this area but don’t worry about sorting them yet. At the end of the week, sort the items out and take them to your local recycling center. Just like that, you’ve started recycling! In many cities and towns, recycling programs already exist so that residents can take part. This can make your recycling efforts much easier. You can go online to your city’s website or call your city hall to find out more about local recycling programs. Some of these programs offer curbside recycling pickup, operate landfills or provide recycling dumpsters for convenient dropoff of recyclables. It only takes a few minutes to find out this valuable information and it can really make things much easier for you when you get started out with recycling. For trash and recycling services in College Station and Bryan, TX, outside the City Limits, BV Trash Valet & Recycling can help you make a big change with waste and recycling collection services. Just like any habit, it helps to have some support. Get your family, children, friends and neighbors involved in your recycling efforts to really help the habit stick. This can also take some of the burden off of you so that you don’t get burned out. For example, have each member of your family take charge of recycling different items. Have one person take charge of recycling paper, another in charge of aluminum, etc. Each person can make sure that recyclables end up in the appropriate container. This also helps keep everyone accountable. With just a few small changes, you too can take part in the green movement and make a big difference that will shape the future in a positive way.